Ploy - Intrigued By The Drum EP. Vinyl EP. Bleep. Ploy’s second EP on Timedance (Batu, Bruce) evidences why he’s turning so many heads in the UK’s club scene at the moment. Intrigued By The Drum is a slinky, nimble collection that rinses out classic techno and house stylings to create something altogether more lithe. The title track is a joy, with a wonky percussion lick drifting in and out of the mix while Ploy paints colourfully with delay. ‘Zoom’ does something similar while the drum take makes the sort intimations towards two-step intimations that got Ploy on Hessle Audio’s roster. 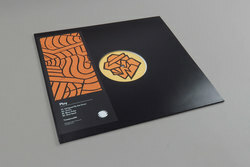 ‘Blow Poke’ and ‘Bad Seed’ contain more rattling beats as well as some deep kicks befitting a release on a Bristol label.